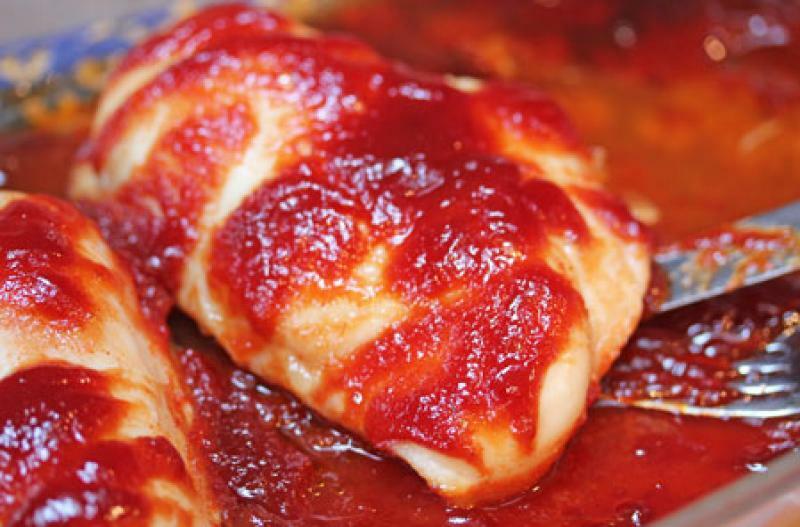 Place the chicken breasts into the baking dish and cover with BBQ sauce. Add couple Tbsp of water to the base of the baking dish. Bake in the preheated oven for 45 to 55 minutes, or until chicken is cooked through. Prepare dinner rolls or rice. Serve Baked BBQ Chicken with side of fruit and dinner rolls or rice. Put baggie in the freezer and freeze up to 6 months in fridge freezer or 12 months in a deep freezer. Thaw in the fridge overnight, or a warm bowl of water for about 20 minutes, before transferring to baking dish and baking in the oven as directed. Thaw completely and add chicken and sauce to baking dish with couple Tbsp of water. Bake at 350 for 45 to 55 minutes, or until chicken is cooked through. Serve with dinner rolls or rice, and fruit.